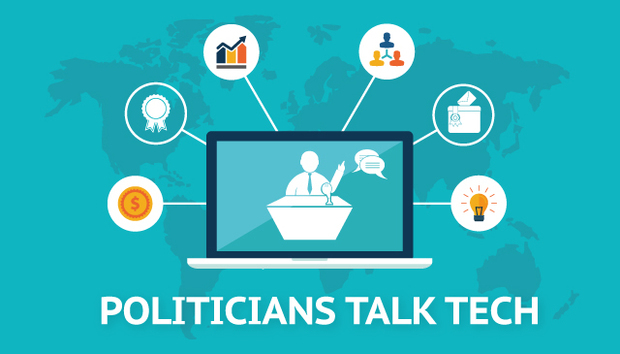 Are Governments, political parties, and politicians in general embracing technology enough and in the right ways? Many are saying Newcastle is becoming a bona fide tech hub – what are your thoughts about the tech scene there and will it ever be able to rival London’s position? In recent years North East England has seen more new technology company start-ups than any area of the UK outside London. Newcastle is a tech hub, particularly for video games, there is a strong and vibrant network of talent, experts, startups and growing companies and this despite the fact that to get real investment attention we still have to hop on a train. Newcastle does not want to become London however, and one of the many failings of this Government’s tech policy is the apparent view that you can just extend tech city to the rest of the country. We have to build on existing strengths and differentiate. That is one of the things Dynamo North East was recently set up to do and there are similar initiatives in other regions. What do you hope to achieve from Labour's Digital Government review? A transformation of the way we design, deliver and engage with public services which delivers smarter, cheaper services designed by people and for people. The next Government will have to be the most digital government ever. But that will only take place in the interests of the many if it is a Labour Government. The Review of Digital Government will give us some policy options to enable an ethical and progressive technology revolution. The transformative potential of technology can only be realised if everyone is empowered to take advantage of it, with no-one left behind. We need a proper ethical and legal framework for the sharing, exploitation and ownership of data, and a public sector with the right skills to be an intelligent procurer of IT. What’s your opinion of the Startup Manifesto and its requests to do more in supporting the tech sector? I welcome all thoughtful contributions to the debate on technology policy, raising its profile in the political debate and encouraging policy makers and politicians to engage with tech. The Coadec manifesto has much I would agree with, for example coding in schools, better visas, better internet, and improving women’s representation in tech. But I do think it is London and specifically Tech City centric, it does seem suffer from the view that we just need to extend Tech City as discussed earlier. What’s your view on making Coding mandatory for children? Will it help reduce skills shortages or will forcing it on kids turn them off to the idea? It all depends on the skills and motivation of the teachers and unfortunately this Government has put no investment into improving these, inspiring teachers and giving them the resources. Industry and Universities are quite active in offering support in some areas and where this happens I am sure it will help reduce skills shortages as well as preparing kids more generally for the demands of the 21st Century and 22nd Centuries. I was surprised both technically - in how the technical challenges had been overcome – and politically – by the lack of proper oversight. But I was not surprised that Spy Agencies were spying. However I do also think the lack of oversight was a consequence of a lack of technology understanding within Whitehall, with the scope of surveillance being changed by technology evolution beyond the intent of the law. It is certainly increasingly essential to everyday life, but I am not sure what you mean by a human right, or how useful that would be, we need to make sure everyone has access. Labour announced a Universal Access Commitment in 2010, this Government abolished it and has yet to deliver on promises for better coverage and in particular rural access. Not now, given the scope for electoral fraud and the challenges of identity authentication, but I am in favour of piloting new technology and process solutions which can address these challenges and would hope we could get to virtual polling booths relatively quickly. Do you think monopolies in the technology scene (e.g. Search Engines) are hurting the growth of smaller firms? Monopolies always hurt the growth of some smaller firms; that is the nature of monopolies. The question is whether this constitutes abuse of a dominant position in a given market. There are a number of cases before the European Commission at the moment and I am not a competition lawyer though I did spend a number of years at Ofcom before entering parliament. I believe there are examples of abuse, whether or not that abuse is intended is unclear, as is what the remedies should be. How we treat data and search as ‘markets’ is a question which has yet to be resolved or even properly addressed, but I do know it is something the recently formed Competition and Markets Authority is looking at. What’s your view on how large tech companies approach their tax situation, and how do we remedy this issue? It is because of tax that Government’s can build schools, support universities, maintain hospitals and do all the things which contribute to a strong, stable society in which businesses can grow and where there are enough educated tech savvy customers to purchase tech products and services, and sufficient respect for the law to enable them to make money. It is therefore in companies’ interests to be part of a solid tax base and those who structure their affairs to avoid tax are doing their hosts, customers and their own long term interests a disservice. This should be addressed through concerted international action but also through naming and shaming and discouraging the purchase of the products and services of such companies where appropriate. I myself no longer use Amazon and it has been an interesting journey to substitute other services for Amazon and Lovefilm. I am a Fellow of the IET, a Chartered Engineer with an elec eng degree and have spent two decades designing and building most of the networks on which much of the new technology depends, so I think its fair to say I know how much of today’s technology works. But I am not a gadget fiend. Both. I find Twitter very useful for work, it often tells me what is going on before the news for example, enables me to keep in touch with many of my constituents as well as the various virtual communities I’m involved with. I worked as a software engineer for a number of years using proprietary languages but also C, C++ and machine code. I’d be surprised if I couldn’t still code a basic algorithm though it’s a while since I tried.